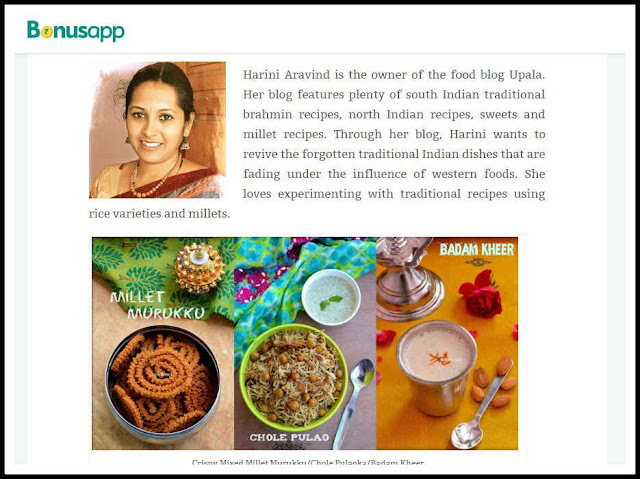 I am Harini Aravind, owner of this food blog. For a long time, I was thinking what to write about me, because I started this food blog just to note down the recipes for my future reference. Slowly this blog started to grow big with more recipes and more visitors day by day. All of your comments and wishes keeps driving me to experiment and bring in many recipes. But I am more inclined towards healthy and traditional recipes as well as the cooking methods which is forgotten in this fast-moving world. Whenever I talk about healthy recipes I come across a statement that "it is will not taste good". You should try my millet recipes, they are healthy as well as delicious. 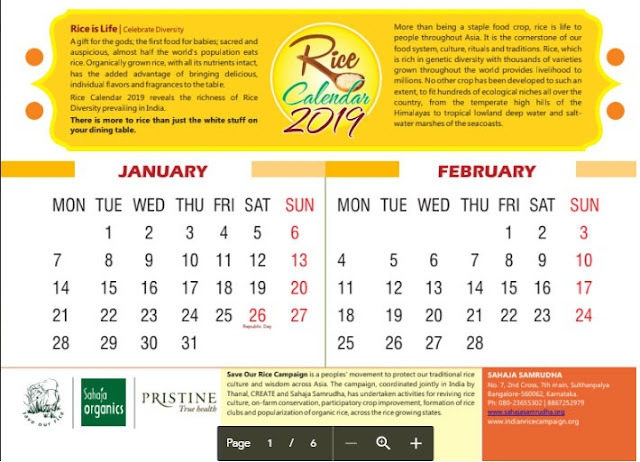 Give it a try and see yourself.I concentrate mainly on Indian vegetarian recipes and all my recipes are tried and tasted by me :). Coming to photography, first I was clicking pics with Nikon cool pix and switched to Nikon D3200 now. 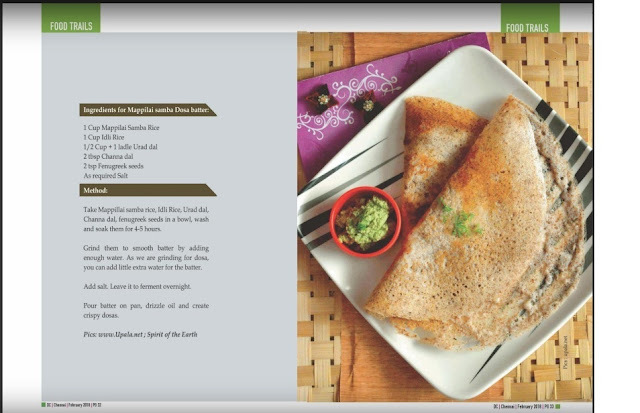 Please feel free to drop in your comments at the end of each recipe or at dnarasi@upala.net, as your comments are valuable to me. Thanks for stopping by my blog....but wait this is not the end:). Have a look at the merits earned by Upala. 2) Upala has been featured in Bonusapp's "Top 20 Vegetarian Blogs-2018", an acknowledgment of my contribution to Indian Culinary. 3) As the new year begins, I would gladly announce that my "Mappillai Samba" recipe has been published in Rice Calendar of the year 2019 by Sahaja Organics http://www.sahajaorganics.com/. 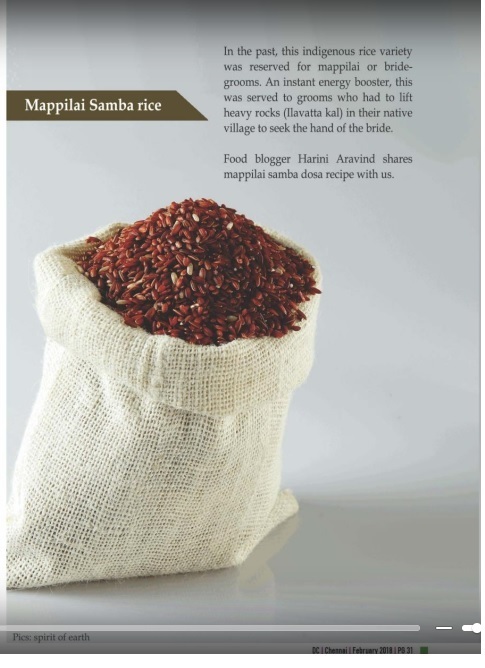 To talk about this company, Sahaja Organics is the largest wholesaler of organic produce across Karnataka that has been wholly owned by organic producers. 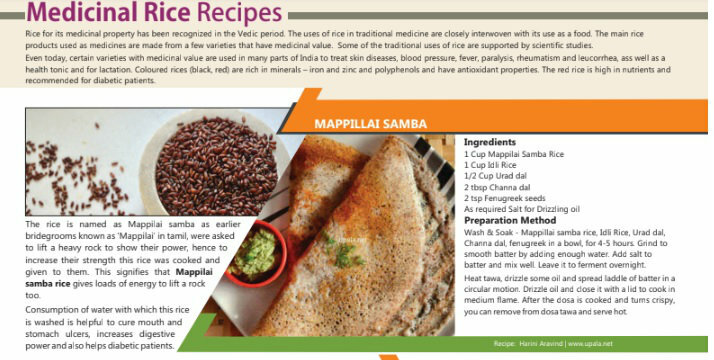 Thank you Sahaja Organics for recognizing Upala's Mappillai Samba Dosa recipe and publishing in your Yearly calendar. please give me some reference where i can get clay pots nearby nanded maharashtra india. Hi Pratik, Thanks for visiting my Blog. I am not sure where you can get in your place and generally Clay pots are sold by road side vendors. This information is not available on-line, try checking with local residents who might give you this information.